SYDNEY - When Kurdish-Iranian journalist Behrouz Boochani won Australia’s most valuable literary prize last week, he could not attend the ceremony to accept it. But as he has done for almost six years, living in Papua New Guinea under Canberra’s harsh offshore detention policy, the asylum-seeker still managed to speak out. “With humility, I would like to say that this award is a victory. It is a victory not only for us, but for literature and art and above all, it is a victory for humanity,” he said in pre-recorded acceptance speech given to media. “A victory against a system that has never recognized us as human beings. It is a victory against a system that has reduced us to numbers,” the 35-year-old added. Under a harsh policy that is meant to deter asylum-seekers from reaching Australia by boat, Canberra has for years sent arrivals to remote Pacific camps on Nauru and Papua New Guinea’s Manus Island for processing, barring them from ever resettling in Australia. The U.N., rights groups and leading health professionals have slammed Canberra for its treatment of asylum-seekers. Stories of violent riots, self harm, dire living conditions and even murder have emerged from the camps over the years. 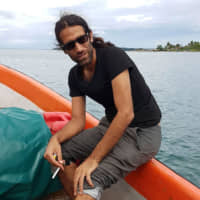 Boochani has been at the center of many of these reports — the loudest voice within the Manus asylum-seekers, providing a key source for journalists and rights groups while documenting the conditions himself. His journalism has been published widely in Australian media. He has given speeches remotely to universities around the world and produced a film from the island shot on his phone — all while continuing to write about Iranian and Kurdish politics for publications in Iran. Born in Ilam in western Iran in 1983, Behrouz graduated from Tarbiat Moallem and Tarbiat Modares Universities in Tehran with a master’s degree in political science, political geography and geopolitics. He was a close collaborator on the Kurdish-language magazine Werya, which in February 2013 was ransacked by members of the Islamic Revolutionary Guard, and nine of his colleagues were arrested. Some of his friends were released, but others were sent to prison. Fearing for his life, Behrouz fled the country in May that year. “I left Iran because I didn’t want to live in prison for a long time or be killed by the system there,” he said from Manus on Saturday. 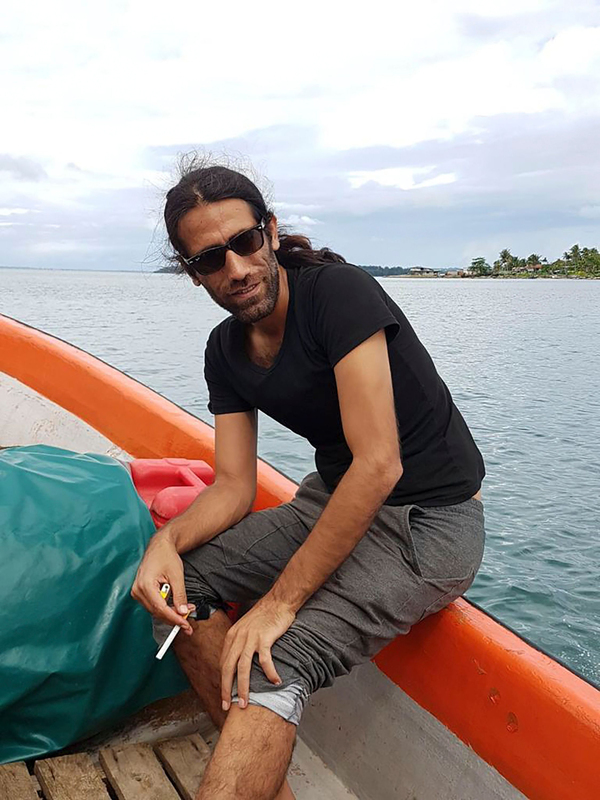 His boat carrying more than 60 asylum-seekers was intercepted on its way to Australia from Indonesia in July 2013 by the Australian Navy, and he was soon sent to Manus. He has spent years writing the book through his experiences on the island, documented via short messages in Farsi to translators using WhatsApp. The book crosses a number of genres, from “Australian dissident literature” to “Kurdish literature” to “prison and philosophical literature,” translator Omid Tofighian said. “It describes systematic torture. For so long Behrouz — through journalism and his film and through public speaking — has been trying to explain what systematic torture means in this particular site,” Tofighian said. The prison is geographically offshore, but the book conveys that it is very much part of “Australian society, history and culture,” Tofighian added. Under a deal with former U.S. President Barack Obama, about 450 people of a potential 1,250 had so far been resettled from Manus and Nauru to the United States at the end of last year. At that time about 160 people remained on Nauru. Boochani said Saturday some 600 men are still on Manus. “I think this award proves that already a big part of Australian society accepts me, and other refugees, as members of Australia,” he said.